This recipe is a well loved one among the staff of Simpson… Teachers would beat down my door to get a few kernals for themselves. 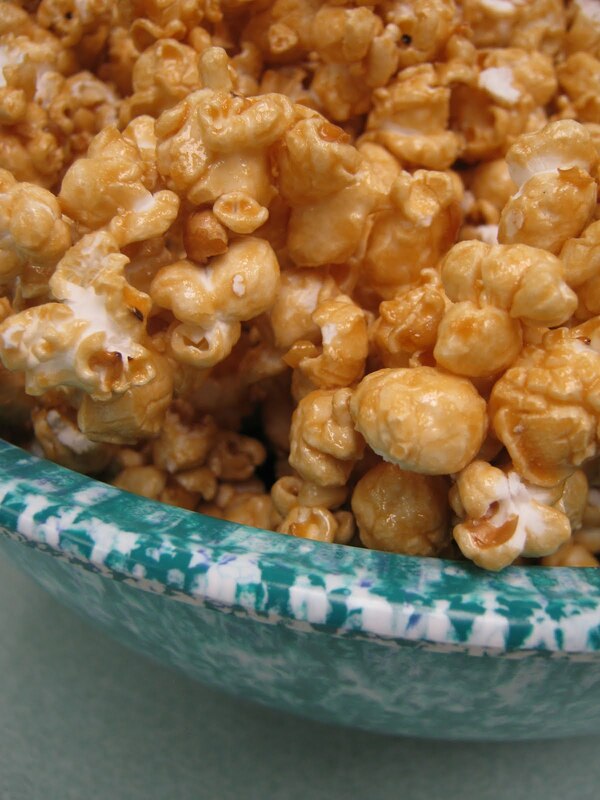 This recipe is a simple recipe that is made in the microwave – You will need AIR POPPED popcorn and a large bowl to microwave the syrup… DO NOT attempt to microwave in a smaller bowl, or you will have a BIG MESS to clean up – Trust me on this one…. 1. Place the popped popcorn in the brown paper bag and set aside. 2. Combine the brown sugar, corn syrup, butter and salt in a 32 ounce (4 cup) glass measuring cup (you can also use a LARGE microwave safe mixing bowl). Cook in the microwave on high for 2 minutes or until the mixture bubbles. Stir the mixture. 5. Pour the caramel mixture over the popcorn in the bag. Fold down the top of the bag and SHAKE WELL. 10. Pour the caramel corn on a foil lined tray to cool. After the corn is cool, place in an airtight container to keep fresh.